Young entrepreneur, traveler and former French Speaker for GoPro Europe, Edouard received his first wage as a waiter in the City in London at 17. After he graduated, he left France again for Spain to be sommelier in Barcelona. He then graduated from the FACO in Paris and succeeded in integrating Kedges BS in Marseille. He traveled to Morocco, New Zealand and Australia to validate his foreign education for Kedge BS. He's been successively Runner - Waiter - Maître d'hôtel - Hostel manager - Actor and Farmer before getting back home in France and being involved in the upcoming GoPro trend in 2012. Edouard started Goproloc.com and got hired by Upiix.com and Contestnco.com, 2 promising startups. After he understood the future would be digital, and accordingly to his background, Edouard decided to create his own e-project. He tried several CMS, before picking PrestaShop to launch Laceinturedavion.com with PrestaShop v 1.4. Today the store runs v1.6. and is strongly linked to his personality, his travels and his wanderlust history. "PrestaShop has matched my budget and my expectations from the beginning until now. It's a real e-commerce experience and I would always be grateful." 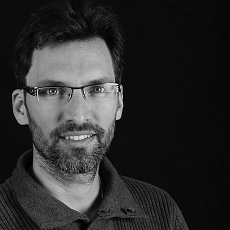 Edouard has met great people on forums and during PrestaShop's events such as the last PrestaShop Day in Paris. "It confirmed it's more than a simple great e-commerce solution. 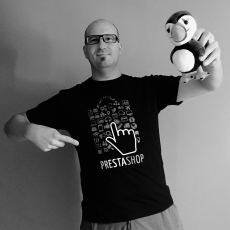 I'm now ready to spread out the word around me and wider enough to make new ideas growing up and becoming next e-commerce success stories... PrestaShop is the best e-commerce experience!"